When will be Skip and Shannon: Undisputed next episode air date? 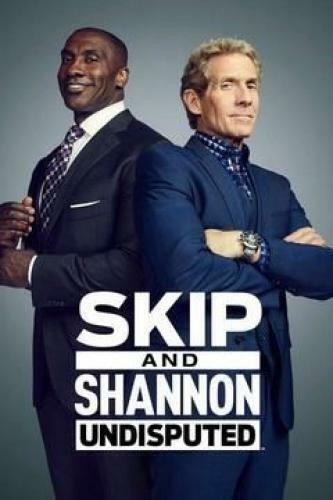 Is Skip and Shannon: Undisputed renewed or cancelled? Where to countdown Skip and Shannon: Undisputed air dates? Is Skip and Shannon: Undisputed worth watching? On Skip and Shannon: Undisputed, award-winning journalist, TV host and author Skip Bayless and three-time Super Bowl Champion and Pro Football Hall of Famer Shannon Sharpe lead FS1's new opinion and debate show moderated by Joy Taylor. Skip and Shannon: Undisputed next episode air date provides TVMaze for you. EpisoDate.com is your TV show guide to Countdown Skip and Shannon: Undisputed Episode Air Dates and to stay in touch with Skip and Shannon: Undisputed next episode Air Date and your others favorite TV Shows. Add the shows you like to a "Watchlist" and let the site take it from there.